No matter what type of boiler your household has, we can quickly diagnose and repair your boiler using quality components and parts. If you are experiencing problems with your boiler and would like to book an appointment for Peter to visit, please contact us today. 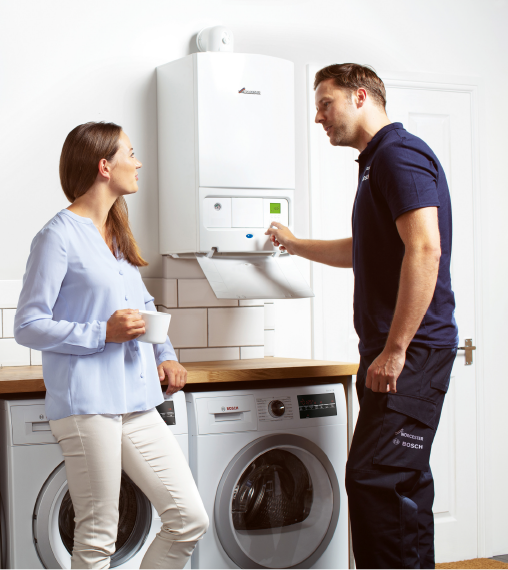 Annual boiler servicing is a wise precaution, as we can ensure that your current system is operating to peak performance, ensure against Carbon Monoxide leaks and prolong its lifespan. Regular maintenance can also help prevent a system breakdown which can be expensive and unwelcome. Due to natural wear and heat erosion of the internal spark electrode/ flame sensing devices within high efficiency boilers, approximately every 5-6 years a different level of boiler servicing called a 'strip-down' service will be required to replace the spark electrodes/ flame sensing devices/heat exchanger seals within these boilers. £35.00-£70.00 + Vat depending on the model of boiler. £50-£70 + Vat depending on the model of boiler. Isolate and drain down the boiler. Recharge the boiler’s internal expansion vessel. Remove/ clean boiler’s condensate trap. Remove the boiler’s fan/ gas valve assembly. Remove and replace the boiler’s spark electrode/ flame sensing device. Clean the main heat exchanger and replace the main heat exchanger seal. Refit boiler's fan/ gas valve assembly. Check boiler’s electrical supply and fuse rating. Operate the boiler and check/ adjust combustion readings in accordance with the boiler manufacturer's requirements. Check operation of central heating and hot water controls. Issue a boiler service certificate. to enquire about having your boiler serviced. After the 5 Year + boiler ‘Strip-Down’ service has been carried out, then the general annual boiler service cost will revert to a 1 hour labour charge of £75.00 + Vat (2019 cost). When the boiler reaches approximately 10 years old then another ‘Strip-Down’ service will be required. For landlords requiring a Gas Safety Inspection (up to 2 gas appliances inspected eg boiler and hob & certification issued) the cost is £95 + Vat (2019 cost). Please note if you have a gas fire. 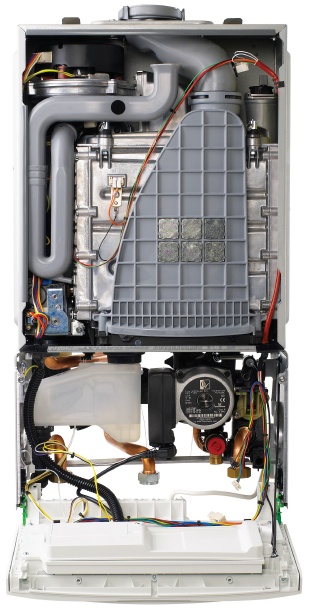 Combined gas safety inspection and ‘strip-down’ boiler service - the combined cost is £175 + Vat (2019 cost) + materials/parts. Access arrangements: For gas safety inspections if a tenant, agent or owner cannot be present to allow access and for the time of the inspection then there is an additional 30 min labour charge £40+Vat added to the cost of the gas safety inspection to allow for the additional time taken to drive to the lettings agents, collect keys, do the job, return to the agent to drop keys back and get forms signed. P.M Bennison Heating Ltd takes gas safety seriously. All of our engineers are on the Gas Safe Register and will have their official identity card when you ask to see it. Worcester Bosch filters installed by P.M Bennison Heating Ltd will be serviced as part of the boiler’s annual servicing procedure if required. Depending on the age of the Worcester Bosch filter a new filter seal may be required and the cost of the replacement seal will be £15 + Vat. ‘Fernox TF1’ £7.50 + Vat. Please note the filter must be installed in a position where it can be easily accessible for cleaning. If the filter is showing signs of old or new water leakage or has not been installed correctly or is not installed in an easily accessible position then we reserve the right not to service the filter and will then offer advice on rectifying the filter issues. We carry a card reader. Work is payable by card on the day if the customer is present. In instances where a detailed invoice is emailed to customers after the job is completed, payment is due within 5 working days of the invoice email date to P.M Bennison Heating Ltd, in order for the customer to avoid incurring late payment charges. All charges are subject to Vat at the current rate. Parking charges are added to your bill (+ Vat) where necessary and when a permit is not available.